You can follow below process to chontact us. Import Duties. Remove hook to drop wonder hanger to vertical position. 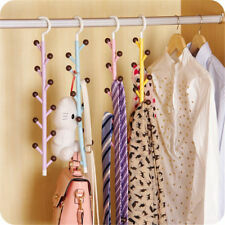 Included: 6 x Wonder Magic Clothes Closet Hangers Clothing Organizer. 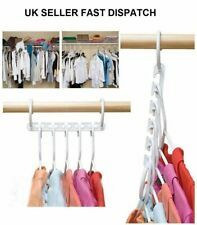 Use both hooks to hang clothes horizontally. Can be used with plastic, wire or wooden hangers. We want to make sure you are happy with our item. Goods without RMA number will NOT be accepted. Size: 28 12 0.7cm. We'd like to settle any problem in a friendly manner. Material : Wooden. Note: Due to the difference between different monitors, the picture may not reflect the actual color of the item. Hang up to 12 shirts/trousers, 8 ties or belts. We want to make sure you are happy with our item. Goods without RMA number will NOT be accepted. Size: 28 12 0.7cm. We'd like to settle any problem in a friendly manner. Note: Due to the difference between different monitors, the picture may not reflect the actual color of the item. 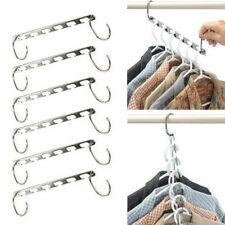 10pcs/set Folding Clothes Rack Hanger Hook Travel Clothes Rack Portable Magic Anti-skid Clothes Rack. Clothes shoes & accessories. Feature: Folding design,Small size,Easy to carry,convenient to use. Kitchen, Dining & Bar. Luxury Bridal Party Wedding Coat Hanger Gift. New Years Eve Party. Hen Party Accessories. Size - 12" (H) x 15"(W). 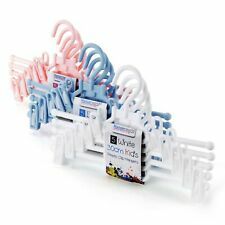 Pack of 10 Children's Clothes Hangers Great for storage of all types of children's clothes Colour: Multi-coloured Material: Plastic . Multi Coloured Children Plastic Coat Hangers. 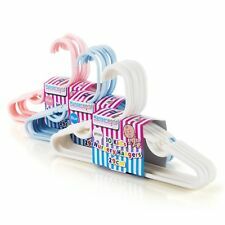 Our plastic children’s coat hangers are the perfect size for your little one’s clothes. 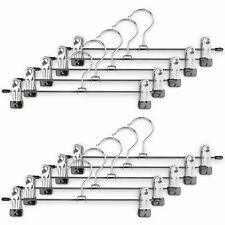 · High quality plastic coat hangers with trouser bar. · Versatile hanging for all baby and toddler clothes.